By now many have heard about the devastating effect slash and burn palm oil farming practices have had on the environment and charismatic wildlife in places like Borneo and Sumatra. Industrial farming interests have shown little regard for the flora and fauna of the region as they burn off vast swaths of land in preparation to produce cheap palm oil. Most visible of the suffering are the orangutans that have been driven from their homes by fire, with hundreds of young orangs orphaned when their mothers burned to death. But is this unsustainable model truly the future of palm oil production? In 2012, the Rare Species Fund, traveled to Borneo to film a documentary about the life of the incomparable orangutan researcher, Dr. Biruté Mary Galdikas—Orangutan Foundation International. During our travels, we visited the orangutan orphanage, seeing hundreds of orphaned babies lamenting the loss of their mothers to fire as a tool used to clear land for palm oil plantations. The trauma these babies were experiencing was heart wrenching. And to realize, that this was once an incomparable eden filled with one of our closest living relatives; there are no words to describe the shock and depth of suffering we witnessed. Is Palm Oil the Most Environmentally Responsible Choice? The world is overpopulated and demand for cheap vegetable oil is at an all-time high and continuing to grow. Palm oil is the world’s highest yielding oil crop, with an output 5–10 times greater per acre than other vegetable oils. Palm oil alternatives with poorer yields require greater acreage and resources to support similar production. There is no question, palm oil is the best choice for sustainability because it requires less space and fewer resources to produce. It is very ecologically efficient. The sustainability problem is not with palm oil itself, but the slash and burn practices of current production models that have led to so much carnage of the natural world. Even if boycotting palm oil proved successful (which it has not), it would only drive producers to alternative oils. Since the alternatives would destroy even more land and wildlife, models of palm oil production that encourage responsibility and sustainability appear to be the answer. 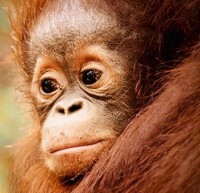 One thing is clear, avoiding palm oil or boycotting palm oil, has not worked, nor is it likely to work in the future. Orangutans, tigers and rhinos continue to die every day. The WWF model of Certified Sustainable Palm Oil (CSPO), as outlined in their report entitled Profitability and Sustainability in Palm Oil Production, requires the certification of industrial farmers for best practices demanded by product producers. Ideally, the certification would ensure that the palm oil used is being grown in the most ecologically responsible way, and that land used to produce palm oil was not converted from land that was of High Conservation Value (HCV). The basis of this model is that product producers hold palm oil producers to a higher standard in the production of oil to be used in their products. The approach is consistent with certifications used in other industries such as seafood and organic farming. The Palm Done Right model of sustainability combines fair trade principles with a certification process similar to the organic farming movement. It encourages small farmers to get involved with palm oil production by guaranteeing minimum market prices for certified growers, and providing education on best organic farming practices to increase production and yield on a smaller scale. It remains to be seen whether the WWF or Palm Done Right model for sustainability will ultimately work to reign in practices currently being used to produce palm oil. But at a minimum, these two sustainability models are moving the conversation forward toward the responsible production of this vital vegetable oil. It is a cold hard fact that the worlds population is increasing, and correspondingly, the demand for vegetable oil is also increasing. There is no evidence that this dynamic will change anytime soon. Since palm oil is the most efficient oil to produce, it will likely be the oil of choice for product producers for years to come. The only hope for orangutans and other creatures of the forest will be for sustainable practices to take hold in this industry before it’s too late. Never before has such large scale industrial farming used such destructive slash and burn techniques to provide millions of consumers with everyday household products. Never before has there been such a raging firestorm engulfing high value biologically diverse habitat for critically endangered orangutans, tigers and rhinos. The homes for these charismatic creatures, and thousands of other plant and animal species, are being burned to the ground at a staggering pace. Although there is still hope of sustainably producing palm oil, without people like you taking action to demand sustainability, that hope is but a flicker on the path toward Armageddon. Are we already too late? Take action for Tigers, Orangutans and Rhinos today!